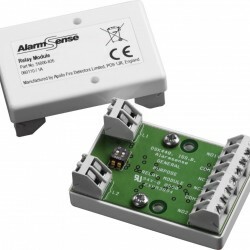 The AlarmSense Sounder Base can only be used with AlarmSense systems. It is fitted with electronic circuitry to monitor the presence of detectors and signals any unauthorised removal of detector heads. It is supplied with a high or low volume setting. 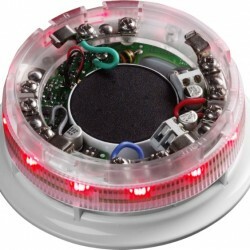 The AlarmSense Sounder Visual Indicator Base is designed to be used with AlarmSense systems only. 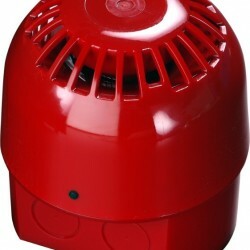 It is supplied with a low or high volume setting and red or white caps are available for stand-alone installation. 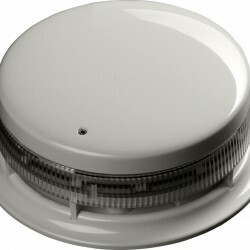 The AlarmSense Open-Area Alarm Devices are zone powered, wall mounted devices which are connected to an AlarmSense system. 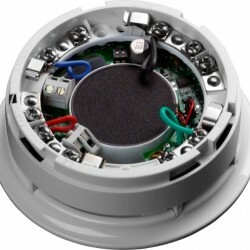 The range comprises sounder, beacon and sounder beacon, all designed to fit a common mounting base.